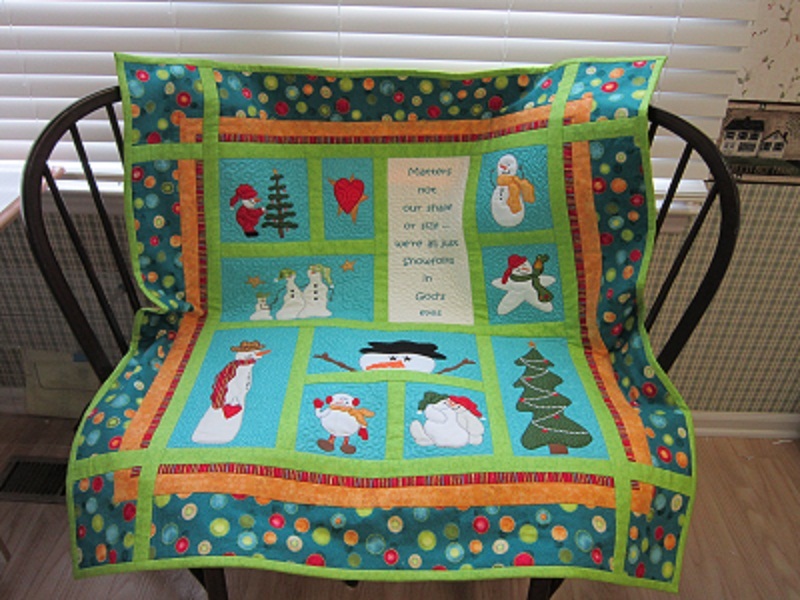 Back in 2006 you sent me an autographed copy of your Snowfolks Quilt book. I made 2 quilts from this book. One went for $125. At our church auction. My construction included teal print sashing around the solid gold block on the back side making the quilt reversible. I’m giving this quilt to my granddaughter.